One of the things I had to experience was loud noisy neighbors, not only the played music loudly at night but did it during the day too, It was very stressful and unpleasant due to the fact that I was still in college and I had to study when I get free time, unfortunately, I had neighbors who simply enjoyed playing loud music during the day. Unfortunately in some areas, playing loud music during the day is allowed which is bad because it can interfere with your everyday life and prevent you from enjoying a quiet peaceful time that desire. Luckily there are certain things you can do to combat the loud music and reduce some of the unpleasant loud sound waves. 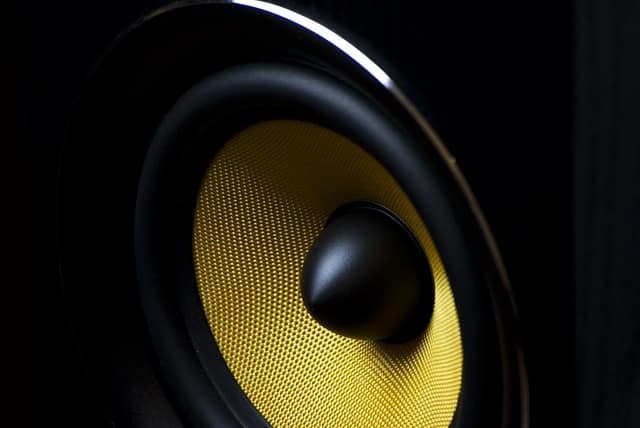 Since different areas come with different noise restriction rules, then it is important you have alternative ways to prevent loud music from ruining your everyday life. In this article, I am going to share with you things you can do starting from today to help you cut down some of the sound waves from your neighbors and give you a quiet environment to have a peace of mind. The first thing I recommend you do when your neighbors are playing loud music during the day is to speak to them about the problem you are facing. Talking to them politely and assertively may be the solution to the noise problems you are experiencing. What you can do is politely explain to them the problem you are facing the fact that they are playing music loudly and that affecting you, be precise and nicely ask them to lower their volume. Obviously, some neighbors are just too difficult and aggressive, what you can do at this point is to go for the alternatives ( I know this may make you seem like a coward but that’s not the case). Make sure before you do anything else you make them aware that their speakers are loud and you would like them to lower the volume a bit if your neighbor wasn’t really aware of the issue, this may be the solution. If the first tip didn’t solve the issue then the next thing you can do to combat the external loud sounds is to soundproof your house and the best place to start is at the windows. Since windows allow so much external sound waves to go through their gaps it’s important you cut that off by soundproofing them. Since windows are just a thin layer of glass and they are already there, it makes it a bit of a challenge compared to buying acoustically treated ones but fortunately the following things should sound dampen the windows to help cut down some of the sound waves from outside. Since there are clearly visible gaps between the frame and the windows, you want to seal them off and the best and easiest way to go about it is to use window weatherstrips. What I like about weatherstrips is the fact that they are really simple and easy to use, they are affordable and incredibly effective ( Click here to see the Current Price on Amazon). Once you get weatherstrips, all you have to do is to simply close off the gaps and you will hear the difference very quickly. after you have closed off the gaps using soundproof weatherstrips then the next thing I recommend you do is to get some sound dampening curtains, these will work great especially since they are thick and designed to absorb and block out some of the unwanted sounds. What I like about these curtains is the fact that not only they great for reducing undesired sounds and echoes but they look pretty elegant and stylish too, come in various colors and designs that will blend in with your interior design. The ones I personally recommend due to the fact that they are simply effective, affordable and elegant looking are the Yakamok Soundproof 2 Layer Curtains ( Click here to See Real User Reviews on Amazon). By installing these drapes you should hear a noticeable difference. Just like the windows, you may want to close off the gaps by using soundproof door weatherstripping kit, luckily you can use the very same weatherstrips you used to sound dampen the windows to seal the door gaps and prevent your neighbor’s music from entering your home. Another great thing that you can do to further sound dampen your door would be to install a noise blocking door sweep which is really cheap and you can find it anywhere online. Now, since your walls are already built it makes it harder to soundproof but if you do the following things, you will drastically reduce the bass noise vibration and high-frequency sound waves. If you don’t know what bass traps are, This article should help you learn more about bass traps. Bass traps are great because they will absorb the low-frequency waves. So if your neighbor plays music with big subwoofers then these will help absorb some of that bass. Acoustic foam panels are the spongy-like objects that are often used to cut down and reduce echoes, reverbs and unwanted sounds, you often see these in music studios or environment where the place is acoustically treated. Acoustic foam panels won’t completely cut down the loud sounds from your neighbors but will significantly cut it down. The most effective thing you can do to your already existing walls is to add an extra layer of drywall and by combining that with green glue that equals magic, green glue is great and most people recommend it since it does the job of reducing unwelcomed sounds and noises, click here to see green glue review I recently wrote. You can alternatively get yourself a white noise machine, and play it to help you keep calm and increase your focus especially if you are busy with something like work, a white noise machine may be very handy to combat the loud music played by your neighbor. If your neighbors insist on playing loud music during the day even after you have asked them nicely then you can call the cops to help you out with the issue, especially during the restricted times. I sincerely hope this article helped you with some actionable tips, read more here.